Provide comfort for the family of Jacqueline Pell with a meaningful gesture of sympathy. Jacqueline Marie "Jackie" Pell passed away on March 29, 2019 at home in the company of her family, ending her battle with cancer. Her final days were spent at home surrounded by loved ones. Jackie was born in Saint Albans, Vermont on February 12, 1941 to Clarke and Elizabeth (Stebbins) Pell. She attended Mount Saint Mary Academy, graduating in 1958. She then received a bachelor's degree in Elementary Education at the University of Vermont in 1962 and began teaching in Meriden, Connecticut. Her sense of adventure and love of travel brought her to teaching positions in Germany, Japan, England, and the Azores. She traveled extensively in Europe and Asia between teaching stints. After spending almost two decades abroad, family illness brought her back to Vermont where she worked as a school librarian and teacher in Dorset and Morrisville. 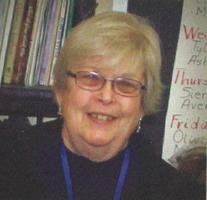 The final position of her 52 year teaching career in the elementary class, art room, and library was at Saint Francis Xavier School in Winooski, where she happily spent ten years. Jackie enjoyed her role at Saint Francis, and the community there so much that she returned to substitute after retirement. She was a consummate teacher, valuing each child she guided. While she did not have children of her own, her dedication to family and to children led her to becoming not just an aunt, but a parent, to her niece and nephew whose upbringing she shared with her sister, Joan. She will be remembered for her love of family, dedication to teaching, her generous and outgoing nature, her sense of humor, and the great stories she told of the many adventures she had in life. Jackie was predeceased by her parents and is survived by her sisters, Barbara Pell and Joan Tobias, her nieces Andrea Tobias and Jessica Rawlins, her nephew Matthew Tobias, and several cousins. A Mass of Christian Burial will be celebrated at 10 AM on Friday, April 5th at Saint Francis Xavier Church in Winooski. Burial will follow at Resurrection Park Cemetery in South Burlington. There will be no calling hours. Memorial donations may be made to Saint Francis Xavier School, 5 Saint Peter Street, Winooski, VT. Arrangements are under the care of LaVigne Funeral Home and Cremation Service.